At the CENTER for Advanced Periodontal & Implant Therapy, we are proud to offer the most innovative care from the only two dual board-certified periodontists in the Brentwood area. Dr. Alexandre Aalam and Dr. Alina Krivitsky both utilize the latest technology to give patients life-changing results. Learn more about board-certified periodontists Dr. Aalam and Dr. Krivitsky! 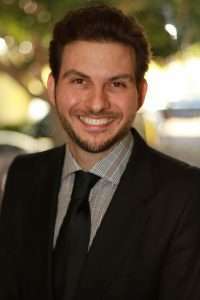 Dr. Alexandre Aalam is a Los Angeles periodontist who specializes in dental implant therapy, aesthetic periodontal surgery, and parenteral sedation dentistry. Dr. Alina Krivitsky specializes in the treatment of periodontal disease, soft and hard tissue augmentation, and dental implants. Ever focused on putting the patient first, Alina Krivitsky, DDS provides each patient with affordable, individualized care and treatment. Dr. Aalam and Dr. Krivitsky strive to create an exceptional experience for patients, where each patient feels comfortable and confident during the initial consultation, while receiving treatment, and with their results. Utilizing advanced technology and industry-leading techniques and treatments, The CENTER for Advanced Periodontal & Implant Therapy provides personalized, cost-effective care for each patients’ unique periodontal needs. 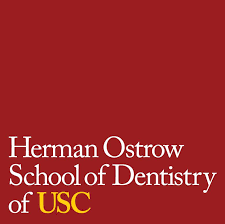 Brentwood periodontists Dr. Alexandre Aalam and Dr. Alina Krivitsky are both professors at USC School of Dentistry and experts in a number of periodontal therapies, including gum treatments and dental implants. Our office offers a safe and relaxing environment to ensure you receive a personalized and accurate diagnosis and treatment plan. We keep a strong relationship with your dentist and physicians to ensure you receive the most optimal and seamless patient care.